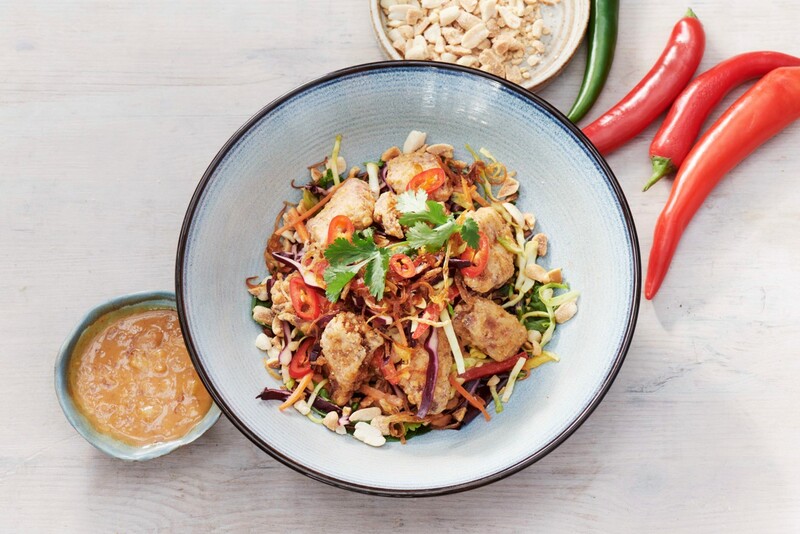 Our new Thai salads are nutritionally balanced and packed with flavour to emphasise their living ethos, ‘Sookjai’ which means ‘happy heart’. They encourage guests to enjoy and savour good quality food and ingredients for optimal wellbeing. Plant based Yam Pak Crispy Soya (£11.5) features the unique vegan soya – Oumph! with crispy vegetables and mixed leaves. 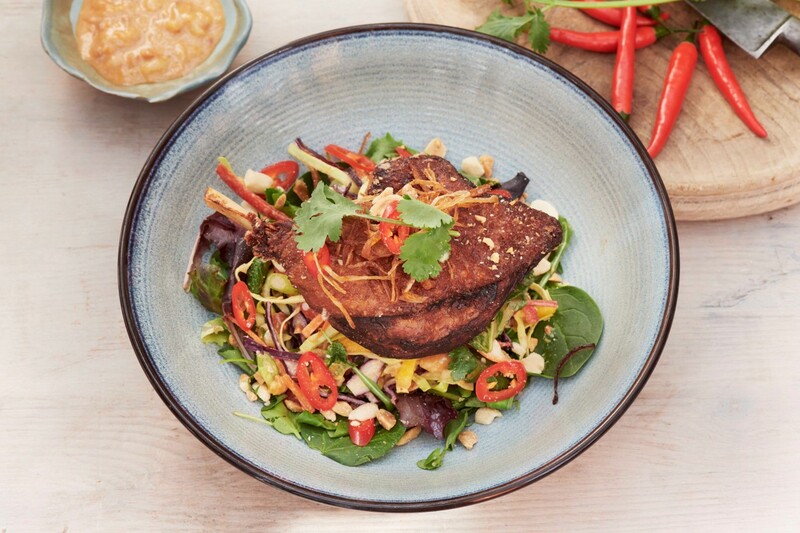 It’s peanut dressing adds crunchiness alongside a range of spicy, sweet and sour flavours. The satisfying Nam Tok Steak (£16.5) offers a feast of flavours and textures with every bite. It’s inspired by the famous “Waterfall Beef” dish in Thailand, getting its name from the splashing sound of juices falling onto a hot grill. 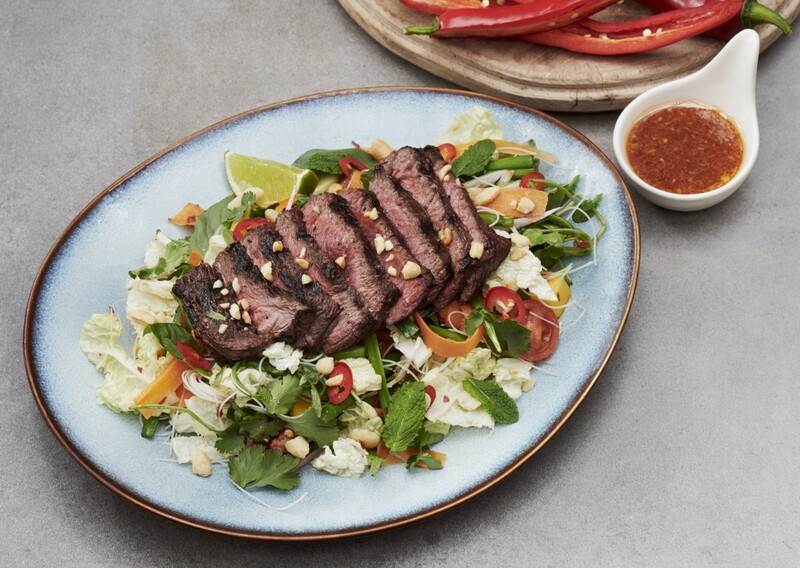 Guests can enjoy a tender grilled rump steak crowning the flavoursome salad base. 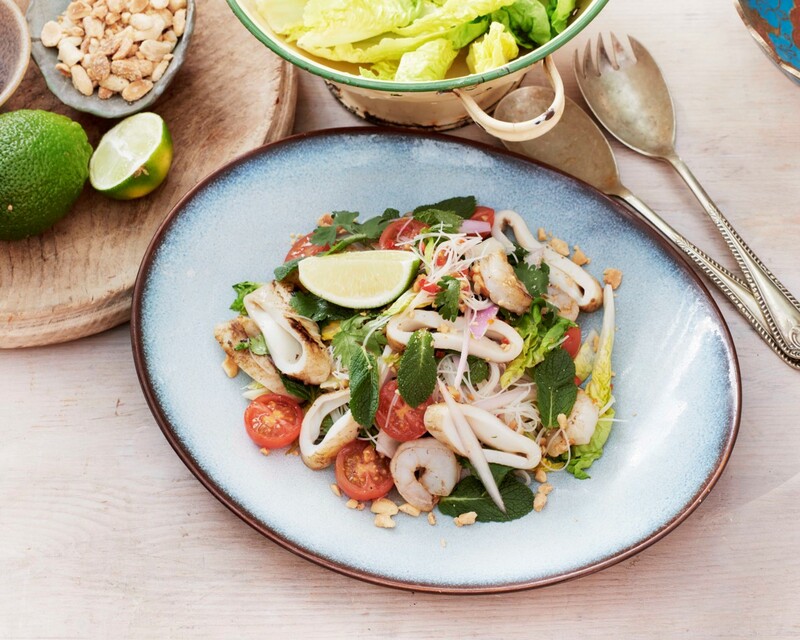 Delicious Yam Pla Squid (£11.5) is wok fried squid and prawns in a light busting salad mix with aromas of fresh coriander, mint, lime and roasted peanuts. Twisted Thai Yam Pak Crispy Duck (£14) has the influence of Chinatown in Bangkok leading with a crispy duck leg. The noodles in the salad base have been replaced with crispy veggies and mixed leaves. Peanut dressing adds crunchiness and a range of spicy, sweet and sour flavours.